January is said to be the coldest month in the northern hemisphere. With that in mind, our thoughts go to the Arctic. Our visit there was in the summer month of July. 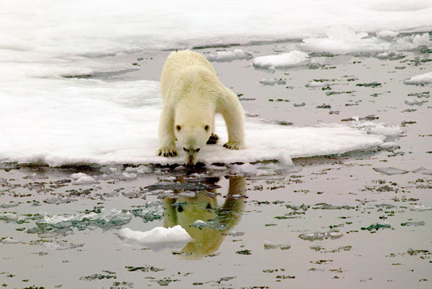 The Arctic is the land of the Ice Bear, AKA the polar bear. In the arctic lies the Svalbard archipelago, a part of the Kingdom of Norway. It is in the Arctic Ocean and located between 74 degrees and 81 degrees north and 10 degrees and 35 degrees east which is about 600 miles north of Norway and 600 miles south of the North Pole. 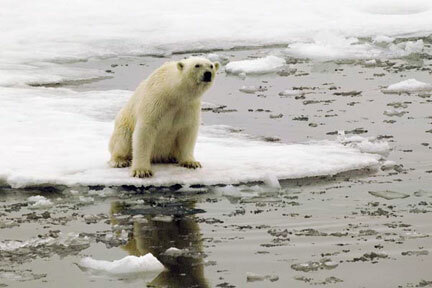 60% of its 63,000 square kilometers is covered in ice. The archipelago is a wild world of frozen wasteland. It is an alien place filled with stark, white platforms adrift on a dark slick oil-like surface. There is little soil and no woodlands or cultivated areas. The growing season is only 40 to 70 days long. The area is classified as an arctic desert. 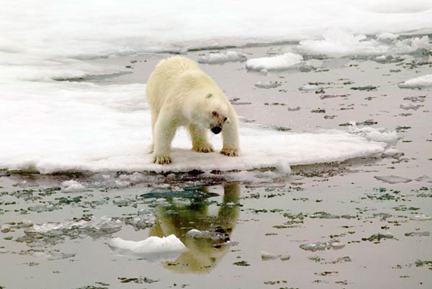 Despite the harsh environment, plants and animals have adapted to the challenges of arctic life. Although the foreign scenery of the arctic was harsh, there was a unique beauty in its starkness. There was beauty in its simplicity, vastness and color. The ice was hard, cold, white, pale blue, deep cobalt, pink, clear and opaque. The tundra was soft, spongy and filled with colorful mosses, tiny flowers, bird feathers, and reindeer antlers. The water was cold, deep, dark, reflective and filled with a multitude of strange pieces of sea ice. The melting ice formed roaring rivers and tiny streamlets filled with algae and bubbles from the melting permafrost. Birds called and soared in the clear blue skies. Reindeer hastily ate in an attempt to store the necessary fat layers for the long winter. Arctic fox were shy and hard to find. Walrus slept and scratched as they molted in the summer sun. 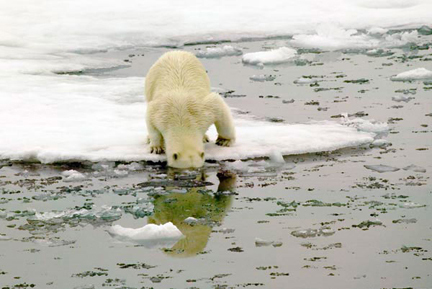 The polar bear hunted the ice and water for food, and yielded to nothing. Each day had its own weather agenda: clear, cloudy or snowy. The sun never set, and the colors in the sky and on the water from the "almost sunsets" were absolutely spectacular. This place is the Genesis, the beginning of the earth. It is the zenith, the final creation of God. It is truly a unique place, a place that offers beauty, harshness, turbulence and solitude. It is a place only God could create. Our purpose of this trip was to find polar bears, which we did. One afternoon we had the opportunity to watch a bear "do his thing". We give you our tetraptych or quadriptych of an ice bear. This is "Contemplating". Is it worth investigating? This is "Looking". Anything good down there? This is "Shaking". Like any animal that gets wet, he shakes off the water. There didn't seem to be anything of interest down there, so what's next? In addition, a few of our 2019 desk calendars are still available at a 25% discount. A description and picture can be seen on our website. Visit our this website for available sizes and prices.